The North American League Championship Series is restructuring to become more like the NFL or NBA with 10 established teams locked into place rather than an ever-shifting lineup of teams each season. Riot Games announced all of this today, and in an interview with Yahoo Esports confirmed that the buy-in for a spot in the league will cost $10 million. If you’re a player on one of those teams, your new minimum salary will also kick up to $75,000. These changes will kick in next year and are the biggest alterations to the pro scene around one of the world’s biggest video games—played by tens of millions of people a month—since the game’s championship tour was started in 2013. Currently, a spot in the LCS is not guaranteed to last. In past splits, teams had to climb their way through various tiers of tournament series to get a chance to knock off one of the lower-rung teams in the league. Starting next year, those tournaments won’t happen anymore—at least, not in North America. Spots in the NA LCS will be much closer to permanent, establishing a consistent roster of ten teams in the league, akin to traditional sports leagues. Riot’s statement also mentions performance incentives for teams who place well, alongside a policy where teams could lose their right to compete if they finish in ninth or 10th place five times over an eight-split (or four-year) period. Teams will also receive a portion of the league’s revenue share, as will players if the league garners enough income. The “rebooted” Challenger series will become an academy league, where each franchised teams in the North American league will field a developmental team to train up young talent for the LCS proper. 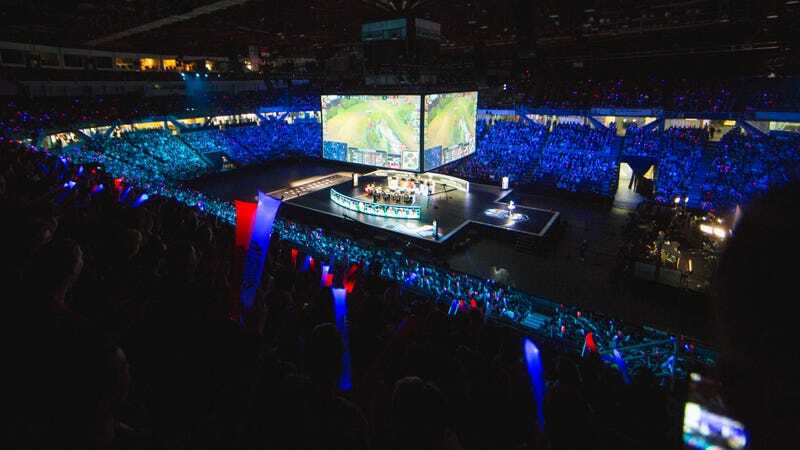 This cuts off an avenue for amateur teams and organizations to fight their way into the LCS—now the focus could shift to individual talent and scouting. Your pickup squad has less chance of making the proverbial NBA finals, but it opens up teams to signing more players and taking a chance on talent earlier on. Riot Games will also be funding the launch of an official players’ association, where representatives elected by the players of the NA LCS will have a supposedly independent voice alongside the team’s and Riot’s. Though there’s some good-faith assumptions involved in Riot eventually allowing the players’ association to exist fully independent of Riot, the company states that as a goalpost. “It’s our hope and expectations that as the association grows, the players assume full financial control over the organization,” reads the announcement. The association will provide representatives in tri-party negotiations, as well as vetted legal and financial resources for helping younger, fresher faces to the league plan out their career trajectories and future. All of this starts today: The application period for teams wishing to buy a spot in the league system is now open and will close on July 14.